Peanut Butter and Jelly…those words just scream “childhood” to me! I’m not a big sandwich person but I do LOVE PB&J sandwiches! Scott & I were talking about them a few weeks ago and decided to make them into bites to take on our hike with us. 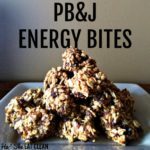 They are the perfect cravings buster and great to give you a little boost of energy (just don’t eat all of them!). Not to mention, these are perfect for kids. Who said that PB&J had to be a sandwich? Put some of these in their lunch box and mix it up a bit – I bet they even like these better! 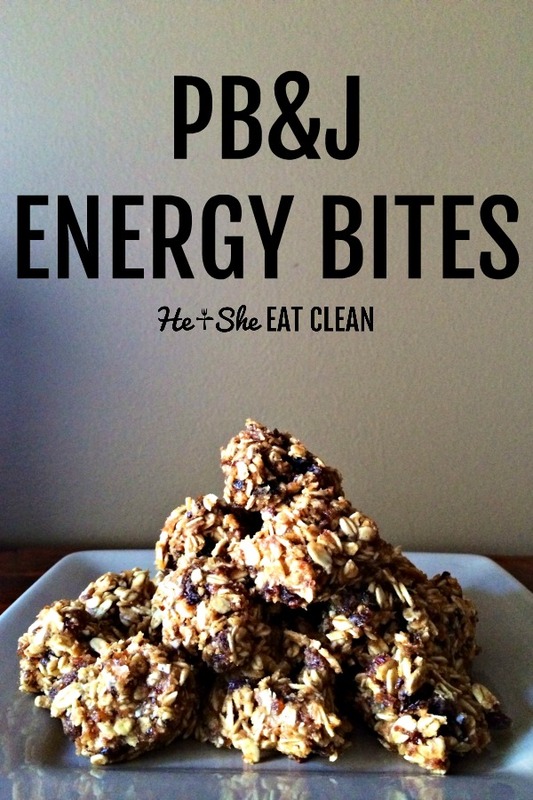 They are easily made gluten-free by using gluten-free oats. If using rolled oats or extra thick rolled oats add approx 1 Tbsp unsweetened applesauce.